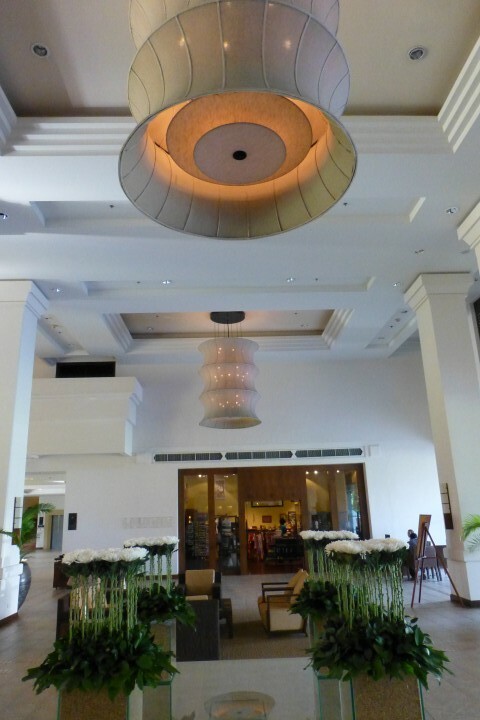 We decided to stay at the Le Meridien Angkor (@SPG) while in Siem Reap. 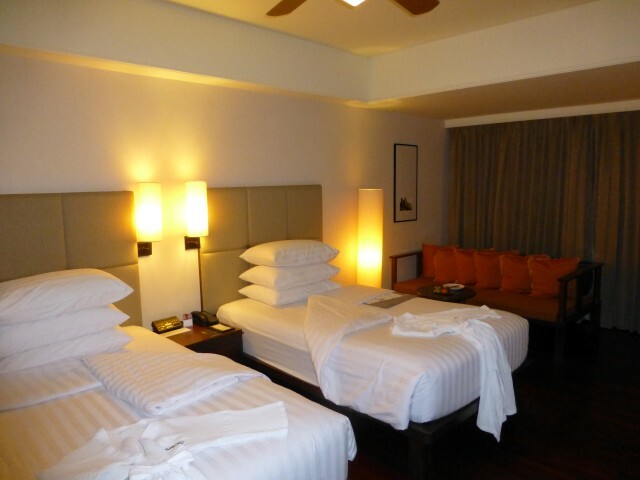 While it wasn’t ranked all that highly on TripAdvisor (at time of posting 66 our of 208 hotels in Siem Reap), we did want to save a bit of money and cashed in some Starwood Points – we actually did the cash and points option, which ended up costing me $35 plus 1,800 points per night. The going rate at the hotel was $140/night, which means I redeemed points for more than $0.058/each – which to me is a win. Our guide dropped us off at the main lobby, where we were met by a front desk check-in agent, who escorted us to a corner of the lobby, offered us some water and checked us in. While completing the check-in process we were told about the amenities at the hotel and provided details on the breakfast offerings each morning. We were given a standard room (no upgrade option for this Gold – at the time- member). 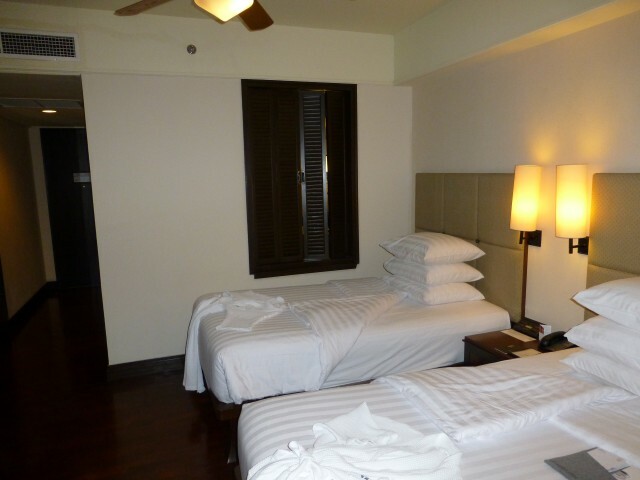 We were put into a room with two single beds. The room came with an abundance of pillows too. Beds with a ton of pillows. There was a small seating area – a couch and a small table off in the corner of the room. The couch wasn’t all that comfortable, but it was nice to have a separate little area to enjoy. The bathroom was very dated, but nice and large. One big issue I had with the bathroom is that there is small bi-folding door above the bathtub. 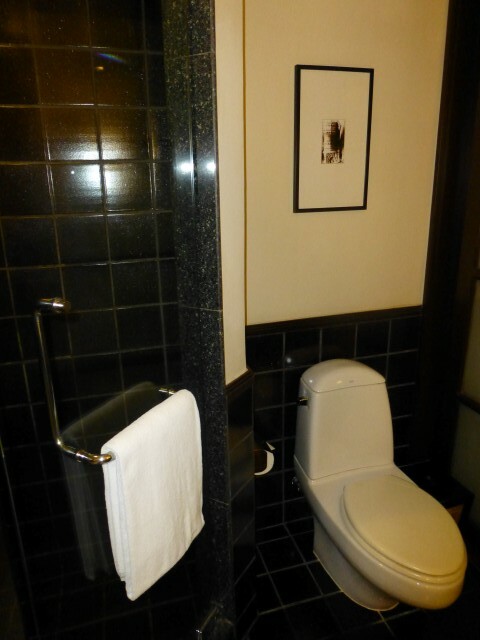 This might be great if traveling alone, but it doesn’t provide any real privacy if you have someone else in the room. I’ve seen this many places before and I gotta tell you, I hate it. The water pressure and temperature was perfect the entire time we stayed. One other thing that confirmed the bathroom needed to be updated was the toilet. The water was so mineral filled, it totally stained the inside of the toilet bowl — so much so it looked like the toilet was dirty. It was a bit of a shock at first. The hotel was pretty quiet and the internet worked at a pretty good clip too. We ate at the hotel both mornings we were on site. The breakfast buffet was well stocked and has standard Asian hotel fare – including various egg dishes, meats, fruits and a couple different noodle dishes. The food was quite fine – although the buffet for two of us cost more than the cash outlay for the hotel itself. My biggest issue at the buffet wasn’t the selection, it was our fellow guests at the hotel. I’ve never been pushed, poked or glared at more in my life – I’ve also never had food intercepted from the buffet serving spoon before it hit my plate before either. What is wrong with these people? The hotel was also nice enough to let us use the spa for showers after returned from Angkor Wat and after we had already checked out. Without the shower the flight on to Phnom Penh would have been one stinky mess. 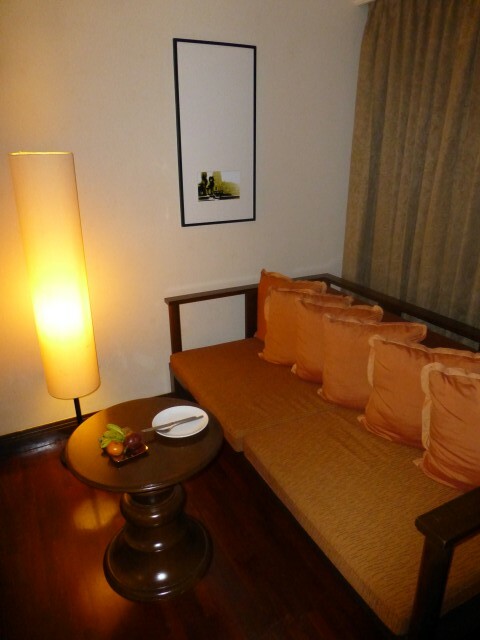 The hotel was located out of the downtown Siem Reap area – it was on the main road, but off the beaten path. It was pretty close to Angkor Wat – but you’d need to take a tuk-tuk or a taxi either downtown (for dining, shopping or nightlife). Since we’ve stayed here, the Park Hyatt has since opened. If I return to Siem Reap, I would definitely consider staying at the Le Meridien again — although I think I’d give the Park Hyatt a go though. Have you visited Siem Reap before? 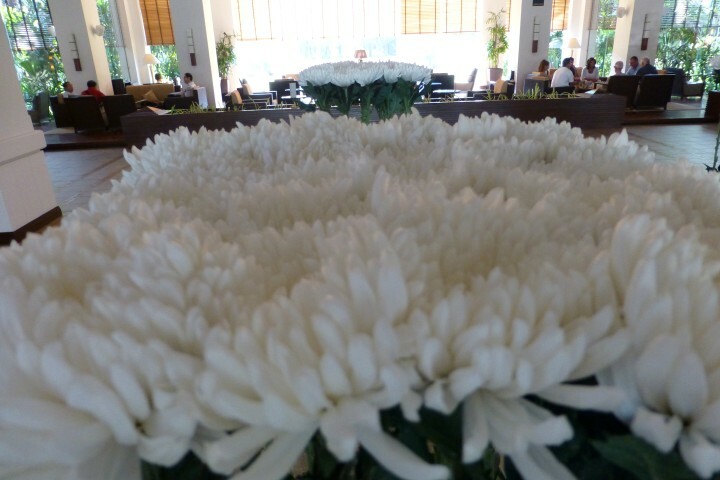 Did you pay the Le Meridien a visit? Did the mineral water stained toilet freak you out at first too? By Tim in Travel on January 6, 2014 .